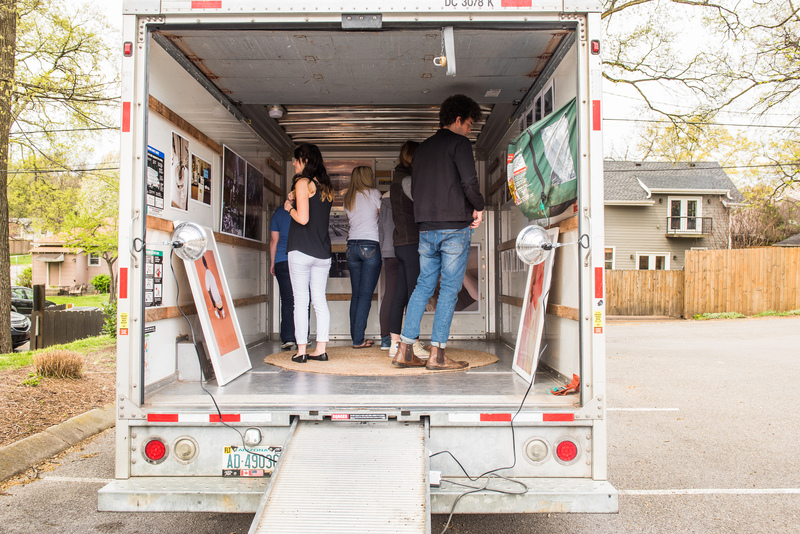 Belmont students in Assistant Professor of Art Christine Roger’s Photography 2 class showcased their “Curatorial Project” art exhibition, centered around transition and movement through space, in a U-Haul on Wednesday. Because art is becoming so experiential, Rogers said she gives her students the opportunity to curate their work into a cohesive exhibition to share with the larger community. As students were broken up into groups for the assignment, they took the art they created throughout the semester and identified emerging themes. For this group, Rogers said the concept of transition became very apparent and the idea to showcase the art in a location based around movement was born.